PPM Series Pressure switch opens or closes electrical circuit depending on pressure is dropping or rising. Working pressure can be set fom 2 bar to 120 bar by pressure custom pressure setting screw driver on the pressure switch. User can follow system pressure instantly thanks to manometer on the switch. Signal pressure can be set after filister head screw put out, which provides connection between socket and base, by custom screwdriver while system has pressure. When you turn the custom screwdriver to clockwise, pressure rises up. When you turn pressure custom screwdriver to counter-clockwise, pressure drops. 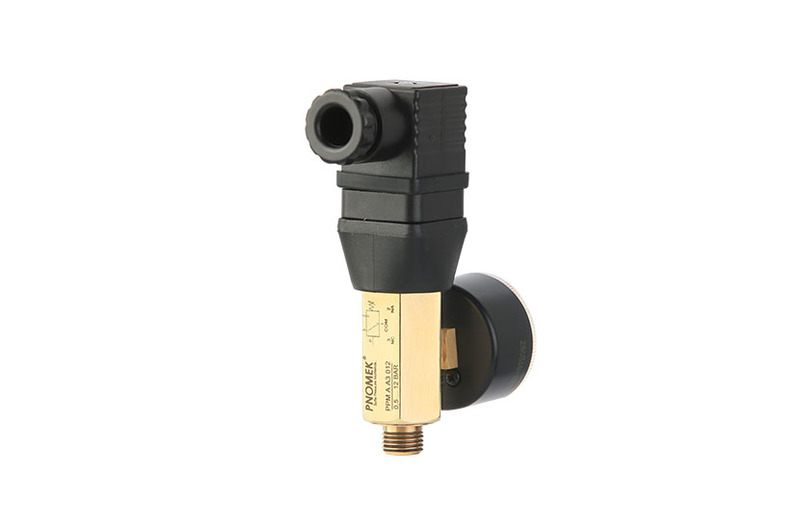 PPM Series pressure switch is manufactured as only diaphgram type. It is classified depend on pressure ranges. These values are maximum values and they can not be used at the same time. When you need to use the pressure switch in agressive chemicals or fluids please contact with us. You must stict to rules of clearence standarts Hydraulic oils (fluids). Use filteration to blocking system errors. It is effective for long working life of pressure switches. Please avoid using out of indicated values to have a long service from pressure switch.